Among the window industry behemoths, one name is familiar to most window shoppers: Andersen. This guide will help you understand Andersen new-construction and replacement windows so that you will be a better-informed purchaser of windows. Grossing more than $1 billion per year, Andersen touches on everything related to windows and doors--from basic, builder-grade replacement and new-construction windows, to premium windows, skylights, custom windows and doors. Industry magazine Window & Door regularly lists Andersen within the top five of its annual Top 100 largest window manufacturers, based on sales volume. Andersen is unique among window makers for largely not manufacturing vinyl windows. Andersen's relationship to vinyl is a complicated one. Some sections of its Fibrex and wood windows do employ some vinyl. Plus, Andersen has attempted to enter the all-vinyl market by purchasing a separate company, Silverline. Up to this point, though, vinyl has not been kind to Andersen, as evidenced by its troubled ownership of all-vinyl Dashwood, which it sold off in 2005. As with all windows, installation is almost as important as the window itself. Even expertly installed low-quality windows tend to be a better deal than poorly installed premium windows. Andersen windows consistently get high marks for quality. J.D. Power studies report that the replacement division, Renewal By Andersen, received a score of 833 (out of 1,000) and Andersen Corp. a score of 814. This places both companies in the top ten, above Jeld-Wen, Marvin, Simonton, Champion, and above the study's average of 811. Anecdotally, most reviews posted on complaint-type sites such as Consumer Affairs center around installation, followed by casement windows, accessories, and screens. About 90% of Angie's List reviews of Renewal By Andersen place the company in the A or B ratings. Below are five basic window-buyer needs matched with an appropriate Andersen series. Andersen's "Hundred" series windows are its lowest cost new-construction windows. These windows are characterized by the use of Fibrex PVC-wood composite and Ponderosa pine wood for the interior and exterior frames. Color and wood choices are limited. 100 Series Andersen&apos;s lowest cost commodity window. It is Andersen&apos;s version of the popular all-vinyl window (though it uses Fibrex instead of vinyl). 200 Series Andersen&apos;s 200 Series is an upgrade from the 100 Series in that wood, not Fibrex, is used for the interior. The wood is either stainable clear pine or paintable white primer. Exterior is clad in vinyl. 400 Series Like the 200 Series, the 400 Series is wood interior, vinyl-clad exterior. The difference: The 400 Series offers three extra window types--awning, casement, and bays/bows. Also, the 400 Series offers five more exterior colors and two additional interior wood species: maple and oak. Andersen's self-titled Premium Series includes mainstays A-Series and E-Series. Premium Series windows are characterized by a far greater range of interior and exterior colors, as well as more interior wood species, than the bargain series windows. A-Series A-Series is considered Andersen&apos;s entry point to premium windows. It is their least expensive line of windows with wood interiors and Fibrex/fiberglass composite exteriors. E-Series Like the A-Series, E-Series is considered to be a "premium line." The difference ends there as the products are vastly different. E-Series has aluminum-clad exteriors (not Fibrex/fiberglass) and offers forty-six more exterior colors than A-Series and one more wood species than A-Series. Renewal by Andersen (or RBA) Andersen&apos;s replacement window line is a separate, subsidiary company formed in 1995. These companies are not included in the core of Andersen business operations. Silver Line by Andersen Andersen purchased this small Brunswick, NJ-based company in 2006 order to enter the vinyl window market. However, according to industry insiders, Andersen has not been able to turn Silver Line into a successful business unit. Craftsman by Andersen Craftsman by Andersen is the name for do-it-yourself new-construction windows sold off the shelf at Home Depot. 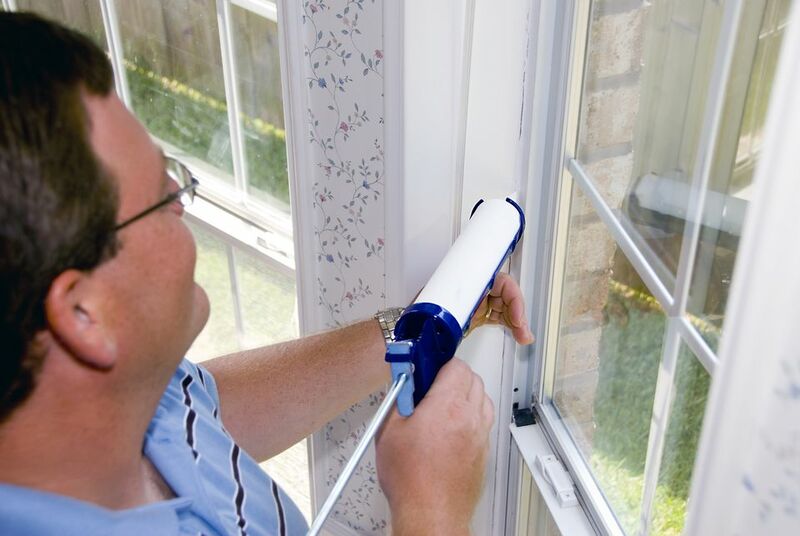 Andersen, like most window companies, does not sell DIY replacement windows. Weiland by Andersen Weiland is a small super-premium specialty door company based in Oceanside, CA. Andersen purchased Weiland in 2013. While mainly focusing on doors, Weiland also does offer a few fixed, casement, awning, hopper, sliding and tilt-turn windows in aluminum and wood.